You are here: Home / Books / Happy! My Book Arrived From BookDepository.com! 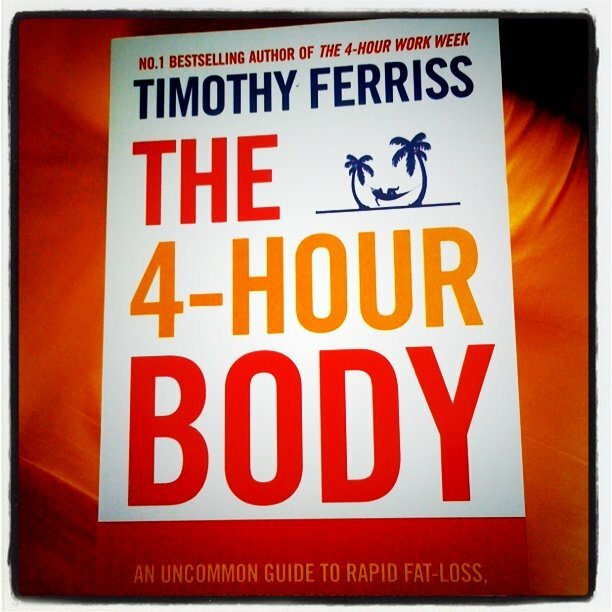 Here’s a happy note… the book that I have ordered from BookDepository – The 4-Hour Body By Timothy Ferriss arrived in my mailbox yesterday afternoon! Yes! But this is a very long wait. I ordered this book on 25/12/2010, the Book is shipped out on 31/12/2010 and it arrived only on 18/01/2011! I know that I have posted a blog post that there are a few unhappy Book Lovers who have made their purchase from BookDepository.com but they did not receive their books and also that this Company could be a possible total Bad Deal! I also highlighted that we need to have more victims and supporters to stand out and voice out the good and the bad of this company. 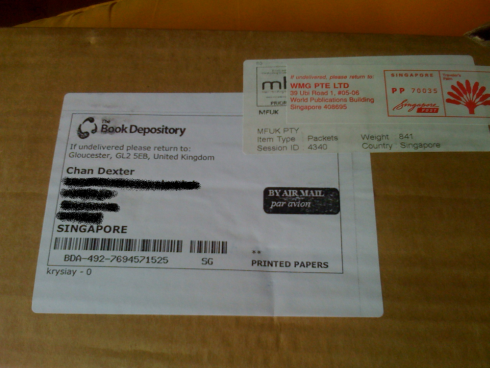 And today… I can add a happy and positive note about BookDepository that my purchase is fulfilled! There’s a good reason to really say that your book may arrive damaged. This is because the book is wrapped around tightly inside the box. You have to rip apart the box just to get to the book. Any wrong move will really damage your book. The book I have ordered is in Soft Cover, so by the time I took out the book, there’s already Dog Ear at the corner. My suggestion, if you really love your Books to be in tip top condition, go for the hardcover. This is the Receipt that came along with the book. >> WMG Pte Ltd, 39 UBI Road 1, #05-06, World Publications Building, Singapore 408695 and this is their website if you would like to contact them and to see if they offer any assistance in tracking your orders. 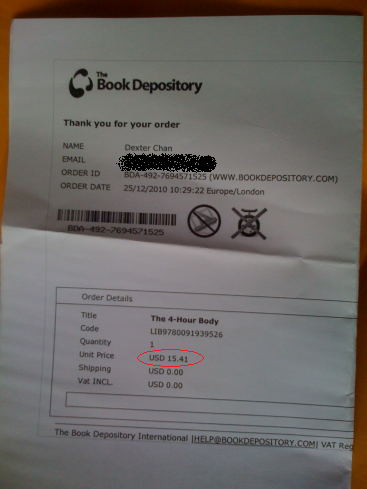 Should You Still Order From BookDepository? I believe everyone has their level of patience. And I believe buying from BookDepository is really a game of waiting and testing of your patience. I do admit that from the time I ordered the book till I received it, the waiting game is really unbearable! Seriously if given that cost is not an issue, getting the book from the local bookstores or from Amazon.com would be a much better choice as delivery time is shorter so lesser waiting and no testing of patience. If you are okay with these psychological and emotional factors of buying books from BookDepository, I believe you can still go ahead to make your book purchases from them. Hi Jane Jones, sorry to hear that. Did you check on https://www.bookdepository.com/track for the delivery status? Wait for another week and if you still didn’t get it, you may want to keep emailing them on how to resolve your issue.